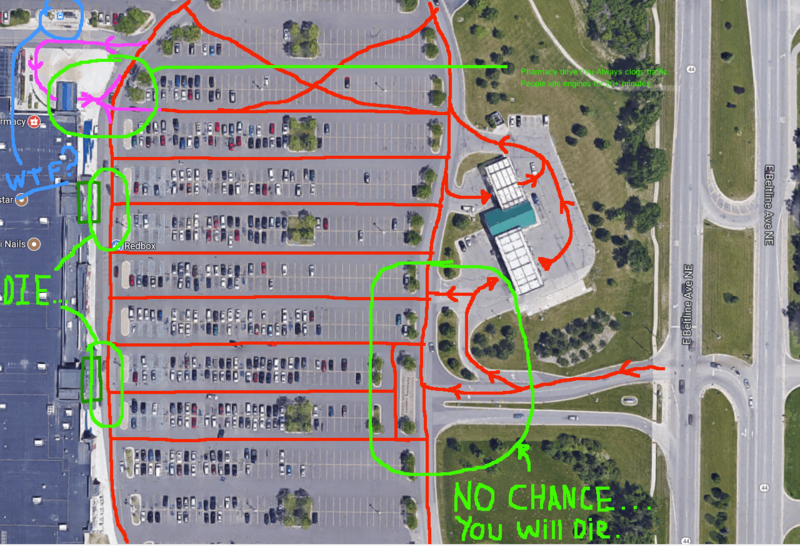 After almost being struck to death several times at our local Meijer parking lot I noticed WHY the Meijer parking lot is like a death trap as opposed to the Celebration Cinema. “Death Lot” – excessive drive-thru lanes, non-existent crosswalks and haphazard placement of a bus stop make this lot dangerous for everybody. “Good Lot” – by dividing the surface with a tree lined foot path this adjacent parking lot feels safer. How do we get a small hardware store? In March, I visited my family in Grand Rapids, Michigan. My brother and I stopped at an ACE hardware store – this 30,000 square foot building had practically everything you would need for any home improvement. On my way out of the store, I wondered about the absence of small hardware stores in urban neighborhoods, including my own. Why aren’t small-format hardware stores more common in cities? Competition from big box retailers (Lowe’s, Home Depot, et al.) offers a partial explanation. 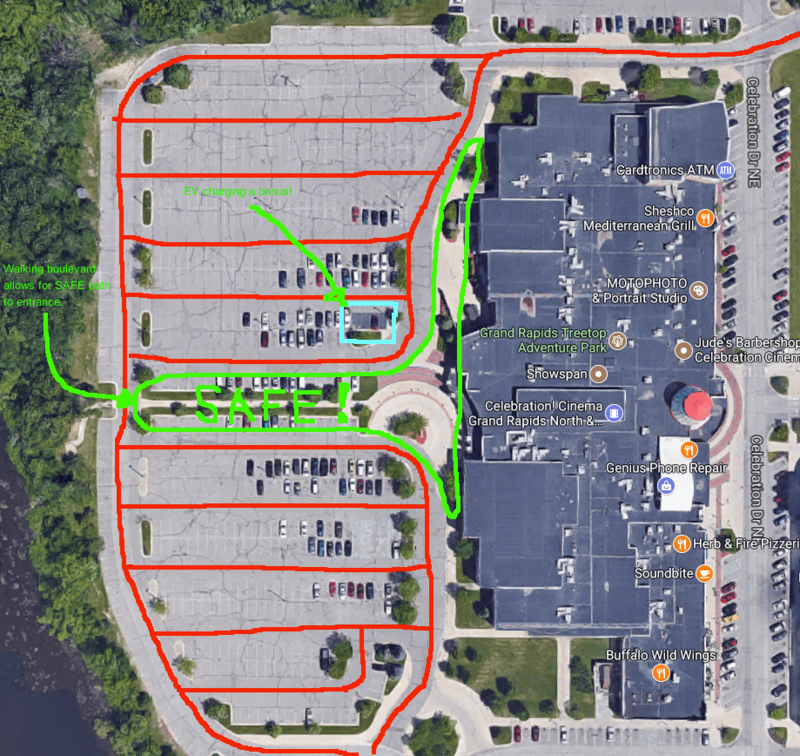 The appearance of these retailers in suburban locations often forced an unprecedented level of competition for smaller retailers who struggle to match the product selection and pricing of these stores. Competition from online shopping has also probably reduced the demand for retail hardware stores. But perhaps more significantly, the household markets for established small hardware stores have steadily declined. These retailers rely on relatively smaller market areas than big box stores – both in terms of the geography and the number of customers. Throughout the late 20th century urban populations declined while suburban areas grew. This meant fewer customers for small hardware stores in urban neighborhoods.